What great advice! 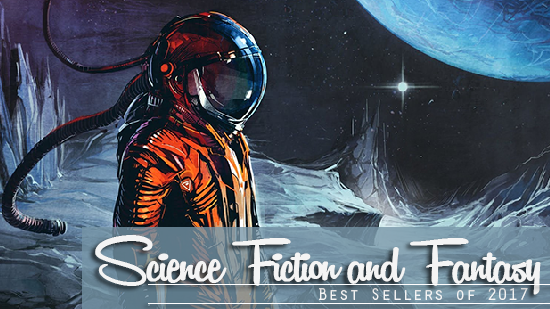 Lets do some time travelling ourselves by taking a look back over 2017 and see what the best selling Science Fiction and Fantasy books were. I've reviewed Amazon's and Barnes and Noble's best selling list and compiled a list of the top five. Two omissions which I was surprised didn't make the list was Nineteen Eighty Four, where sales of this book rose, in January 2017, these sales were seven times more than same time last year, 2016, and also The Handmaid’s Tale which Amazon Charts listed as the Most Read book of 2017. I've only read the last book on the list, Norse Mythology, but most of these are on my list of books to read in the near future. 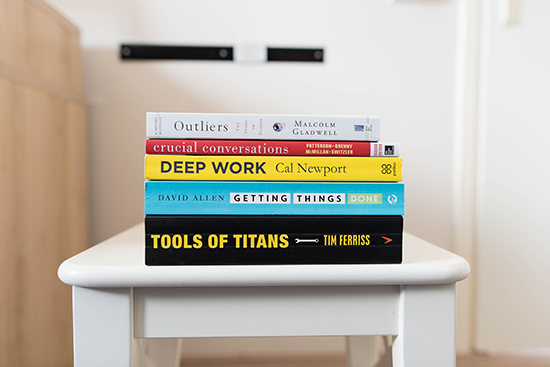 Which ones have you read, and would you say they deserve a place on this list? Time to spread out those cushions on the floor and let's go back to 2017. What would happen if women suddenly possessed a fierce new power? In the near future, women all over the world discover they have the ability to unleash “skeins” of electricity powerful enough to hurt, injure—even kill. The world order slowly erodes under the new math of this power imbalance. The Power is speculative fiction at its most ambitious and provocative, at once taking us on a thrilling journey to an alternate reality, and exposing our own world in bold and surprising ways. Arden’s debut novel is an incredible achievement, fusing Russian folklore and history into a thoroughly modern fantasy exploring themes of belief, feminism, and magic. The Bear and the Nightingale is a fantasy novel in the same way that The Martian was a science fiction novel; Katherine's beautiful writing gives it universal appeal. I've given it to people who would never read fantasy, and every one has loved it. Even thought Andy Weir's The Martian wasn't the sort of science fiction novel I would pick up, I was thankful that I did, so hopefully this endorsement holds true. If you've read it let me know what you think. Another breezy, brainy, and addictive a read as The Martian, and it’s probably going to make for another great movie. This one is a heist story set on the moon. Jasmine Bashara never signed up to be a hero. She just wanted to get rich. So when a chance at a huge score finally comes her way, Jazz can’t say no. Jazz has never run into a challenge her intellect can’t handle, The trouble is, engineering the perfect crime is just the start of Jazz’s problems. Because her little heist is about to land her in the middle of a conspiracy for control of Artemis itself. Oathbringer is an epic fantasy novel by Brandon Sanderson who isn’t just writing some of the longest epic fantasy books running, if you've read any of this works you know that he’s also writing some of the very best. Master storyteller Neil Gaiman presents a dazzling version of the great Norse myths. Neil Gaiman has long been inspired by ancient mythology in creating the fantastical realms of his fiction. Now he turns his attention back to the source, presenting a bravura rendition of the great northern tales.